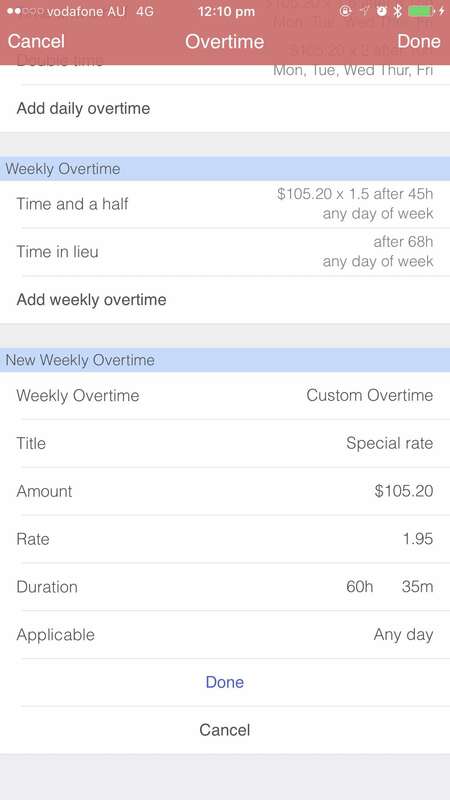 Go to the job details and scroll down to 'Overtime' section, then add any overtime conditions for daily and/or weekly that are relevant to the job. 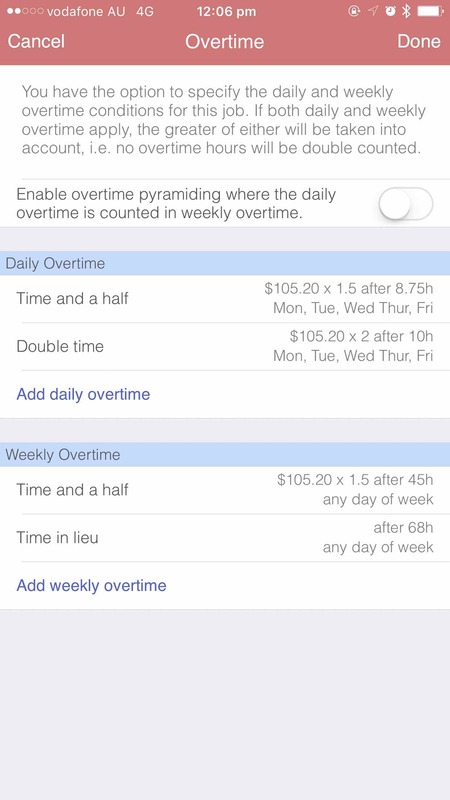 Work Clock supports the standard overtime conditions - time and a half (1.5x), double time (2x) and time in lieu. 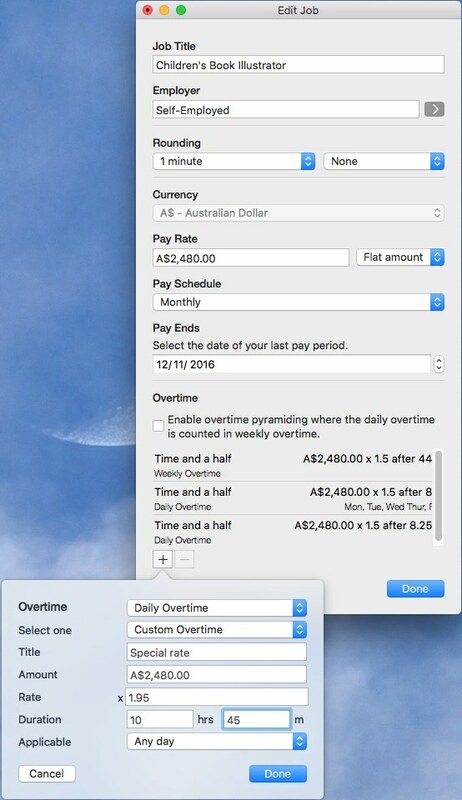 Work Clock also supports customise overtime conditions, where you can specify the title for the overtime, rate, amount and duration. 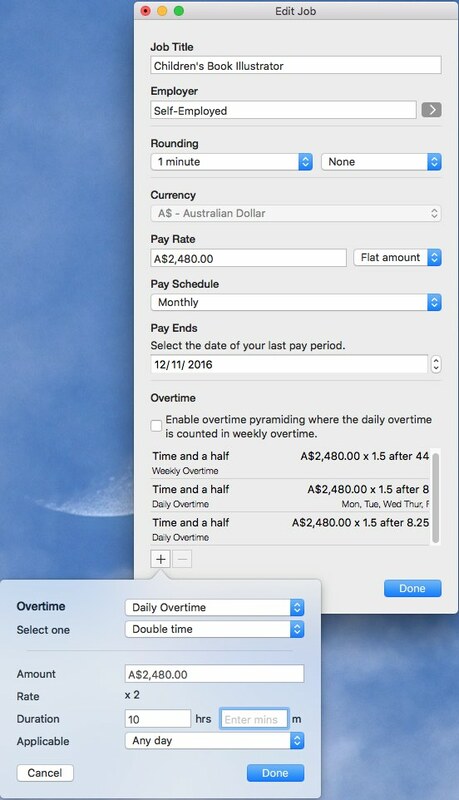 How to set task reminders?